Trading commodities for your personal account can be both exciting and challenging. When you choose Rosenthal Collins Group or one of our Introducing Brokers as your futures broker, you can trade with confidence knowing that you’ll receive the same exceptional service and technology that professional traders enjoy. 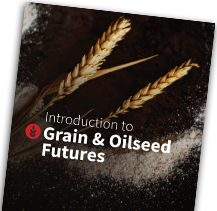 With over 90 years experience in trading commodities, we understand the demands of trading futures and options on futures. Leverage our experience and operational expertise so your focus can remain on trading. Thousands of self-directed account-holders appreciate the professional service they get at Rosenthal Collins Group. We review and approve new accounts quickly. Importantly, we offer every one of the leading trading platforms available in the marketplace. Plus, you’ll have all the resources you need to monitor your account, including electronic statements with online access to both intraday and historical activity. We understand that fast, reliable technology, comprehensive support and the most advanced trading platforms are essential to your success. You can select from the leading trading platforms in the market, including our own RCG Onyx Plus for desktop and RCG Onyx WebTrader for the web. We invest significant time and resources to ensure that our trading infrastructure offers a low-latency trading experience that is efficient and reliable. You need power to crunch the numbers that dictate your trades, and we’ve got what it takes to support algo trading. Choose from leading trading platforms and APIs designed specifically to support high-powered trading. For even more stability, speed and security, talk to us about hosting your server at our Data Center.